Europe's leading exhibition for electrical automation runs from 28-30 November 2017. Under the motto “Safety in Every Dimension”, this year our stand places the spotlight on safe 2D and 3D sensor technology. Safe sensor technology plays a major role particularly in safe human-robot collaboration. Man and machine will operate hand in hand in the factory of the future. That means there is already a need for dynamic safety concepts that can guarantee safe collaboration. It consequently places high demands on the sensor technology: for example, sensors need to be able to identify whether a person is present within the action radius of a hazardous movement or has already accessed a zone with an increased safety requirement. Optical and camera-based sensor systems are the solutions of choice here. In our smart factory you will also be able to see how control tasks can be realised in an efficient, flexible and user-friendly way thanks to distributed intelligence, to Industrie 4.0 standards. 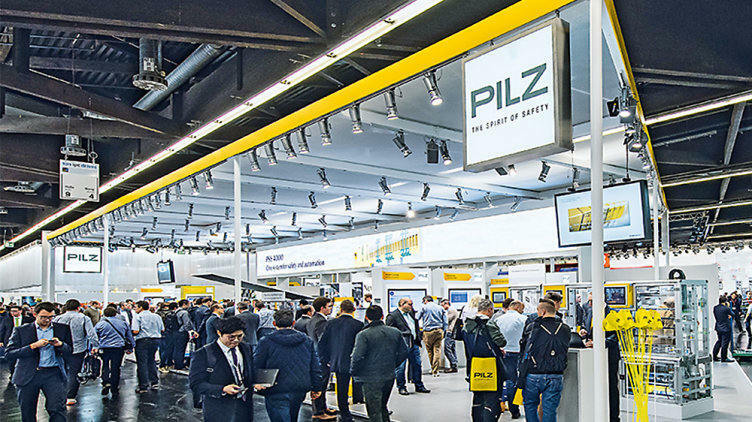 Make plans now to visit Pilz at the exhibition. You will find full information about all our new products and highlights on our exhibition page. You can also arrange appointments there and claim your free exhibition ticket! We look forward to your visit to SPS IPC Drives 2017! Visit us in Hall 9, Stand 370. Claim free exhibition vouchers now!